You probably already know exactly what you’d like to get taken away from your home. These could be the kinds of items you’re keeping in storage in your garage or basement for no other reason than you don’t have a truck big enough to haul them away. All that old furniture, appliances and other household goods can easily be taken away by a Junk King Denver crew. You’ll be assigned to very capable movers to handle all the heavy lifting at your home. Even if the stuff isn’t all that heavy, you’ll still get those two movers! As long as you’re hiring Junk King to clean the inside of your home you can also turn them loose on the outside of the home. Take full advantage of that crew and their truck to haul away all the unwanted things you have your backyard. This could be some rusty patio furniture or crusty grill that is seen better days. It can all be loaded onto the truck in the same appointment. It’s amazing how one junk removal session with Junk King Denver can transform your home. You’ll free up a lot of or storage space, which means you can finally get organized. Start your summer off the right way by clearing out all the unwanted clutter in your home. Junk King Denver can make it happen! This entry was posted in Denver Junk Removal and tagged Junk King, junk removal, rubbish, summer on June 30, 2016 by Paul Durant. Last updated August 1, 2017 . The only time that a hoarder makes the news is usually when animals are involved. 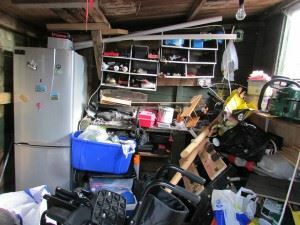 Recently the Humane Society paid a visit to a home that would certainly be classified as a hoarder type of situation. As part of their investigation, they removed several dozen dogs and cats that were living in neglect. Thankfully, many of those animals have been placed in new homes and appeared to be thriving. This type of situation points out how a clinically diagnosed hoarder cannot only cause harm to themselves but to others around them including animals. That clinical definition of a hoarder is someone who refuses to get rid of anything. Just because you have a lot of clutter in your home doesn’t automatically make your hoarder. You just might not have the help you need to get rid of it. The good news is that now you do! 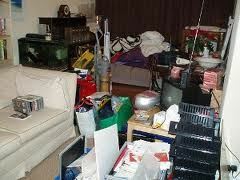 One call to Junk King Denver can ensure that any level of a hoarder’s mess can be cleaned up in a single appointment. The typical junk removal session handled by Junk King Denver will involve two experienced movers and one large truck. This is usually all you’ll need to get rid of old furniture, appliances and other household goods. However, if you have been putting up this junk clearing job for some time, then you might find yourself with a mountain of clutter. In those cases where a hoarder cleanup type of situation needs to be handled junk King will happily dispatch additional crews and trucks. The goal is to get everything removed safely and efficiently. The crews working for Junk King Denver have a lot of experience with these types of extreme cleanups. It doesn’t matter to them if they are filling up half the truck or the entire truck. All they care about is making sure that everything you want to go will be taken out. That includes any items you’ve got in your backyard that might be rotting away. Keep in mind, that weight isn’t an issue with Junk King Denver. That’s because your will be charged a flat fee based on how much space your junk will fill on the back of the truck. For fast, reliable and safe hoarder cleanup, Junk King Denver is the only call you need to make. This entry was posted in junk removal and tagged hoarder cleanup, Junk King, junk removal on June 11, 2016 by Paul Durant. Last updated August 15, 2017 .